The facts from Bansko’s “business card” speak volumes of what the skiing conditions in Bansko are: The World cups held here since 2009 are six – five for men and women in alpine skiing and one in snowboard in 2017. By 2021 in Bansko there will be 5 starts for the World Ski Cup in different disciplines for men and women, and the Snowboard World championship will be in 2018. The choice of where to hold the world cup competitions is not accidental – it is made after a thorough international check of the tracks and facilities, hotels, and so on. In this respect skiing conditions in Bansko are equal to the ones in established winter resorts such as Lenzerheide in Switzerland. At the same time, all international tourism rankings assign Bansko the first-second place in Europe in low prices. 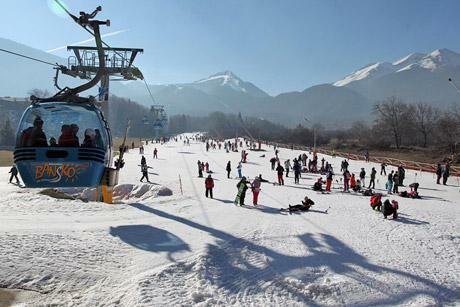 The 75 km of ski tracks in Bansko are not only for professional athletes, they are also suitable for mass tourism. 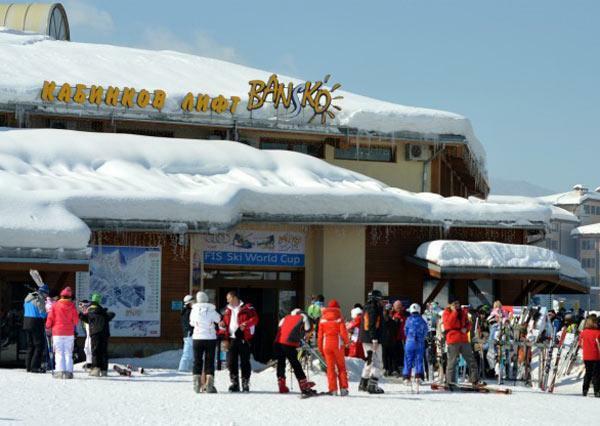 Many people come to ski in Bansko not only when they have a longer vacation but also during the weekends. For this reason 35% of the Bansko ski tracks are suitable for beginners; ski tracks with “average” level are 40 percent, the other 25 percent are for advanced skiers. Of course, here you can practice snowboarding. Both for skiing and snowboarding in Bansko, there are opportunities for free styles and going on the tracks at night. All sorts of conveniences are offered for the guests. The ski complex, for example, has a mobile application with up-to-date information on the condition of the tracks, live cams, and so on. It can be used anytime and anywhere – even while you are at home and planning your vacation. Ski wardrobes are provided, transport to the first station of the gondola lift every 15 minutes, bus trips to the tracks during the weekends and festivities, etc. The ski season in Bansko starts in December and the climate and the 230 artificial snow machines allow it to last until April inclusive. The official opening is in mid-January, with the date being announced 2-3 weeks in advance. The ceremony is very lush, in the presence of world renowned names – Olympic champions and winners of multiple editions of the World Cup. Season 2016-2017, for example, started in the presence of Fritz Strobl, Olympic champion and Mark Girardelli – five times winner of the World Cup. They participated in one of the traditional attractive competitions at the opening of the ski season in Bansko – participation in the team of a champion. Another competition consists in treasure hunting. There is a brand new car among the prizes. All this is accompanied by many concerts and celebrations until the next morning. In Bansko one can learn to ski and fall in love with this sport from a very young age – there is even a children’s ski garden, children’s drag lift, a roundabout trail. Actually, in Bansko there was a ski school in the kindergartens more than 40 years ago. 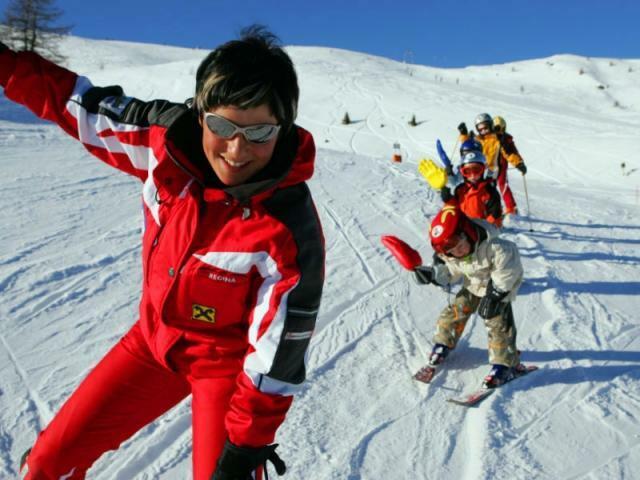 The ski school in Bansko for children and adults alike. Ski and snowboard training offers opportunities for individual and group lessons. There are at least 10 training centers, even ski teachers have made an Association. The duration of the courses at the ski school is according to the students’ wishes. It can be half day, one day, two, three – up to two weeks. In case of group participation – families, friends, company team, the students are distributed according to the level of skiing skills. An instructor trains from two to eight people, of course, at an individual request, the training at the given ski school will be personal. Teachers are licensed and have many years of experience, most of them are members of the field of professional ski instructors to the Bulgarian Ski Federation. Instructors with pedagogical experience have been selected to train at the ski school for children because it is considered that when teaching children, it should be fun – learning must be like a game and more specific than the training for adults at the ski school. Of course, the leading experience in the training is the pleasure of skiing. With the type of conditions offered for a ski school in Bansko, you can learn the first steps and you can improve the acquired skills to a higher level. Students can bring their own equipment or they can rent it – every ski school has full ski and snowboard equipment as well as maintenance service. When renting, there are various discounts: for example, 10% if you make an online reservation, free equipment for children under 12 if the parents rent equipment. In Bansko, ski cards are emitted traditionally for years. The benefit is clear – less money is given than with individual payments and time is saved. Apart from avoiding to wait for each payment, the Family Card, as well as the Seasonal card, provides quick access to the gondola lift through a special corridor. In Bansko, ski cards can be acquired from the hotel reception or from the ski complex and they also include the mountain insurance. Apart from Seasonal and Family cards, there are half-day cards which are sold from noon on; for pupils and students who receive the card against a certified pupil’s or student book; for children under 12,99 years of old; for children up to 6,99 years old with a companion, one adult being with one or two children. In Bansko, ski cards for youngest ones are given for a fee of 1 lev per day. In effect, ski cards in Bansko can be used by a wide range of families. Seasonal family cards are for two parents who have one child up to 15,99 years old, two, three, or five children. However, birth certificates of the children are required. Bansko ski cards for children up to 6,99 years of old require a photo, which, however, is done on the spot when the card is issued at the ticket office. It should be noted that ski cards in Bansko are issued under a very flexible system according to which discounts can be introduced according to the period. For example, in 2016/2017 from mid March to April 17, when the season officially ended, prices fell. From 58 leva, the price of the one-day adult lift card fell to 46 leva. The price of one-day cards for pupils aged between 7 and 12,99 was reduced from 42 to 32 leva, half-day cards, which were 48 leva, got 10 leva cheaper. Lift tickets have also gone cheaper. In Bansko, ski cards and tickets are often issued during promotions and festive days which is announced in advance.